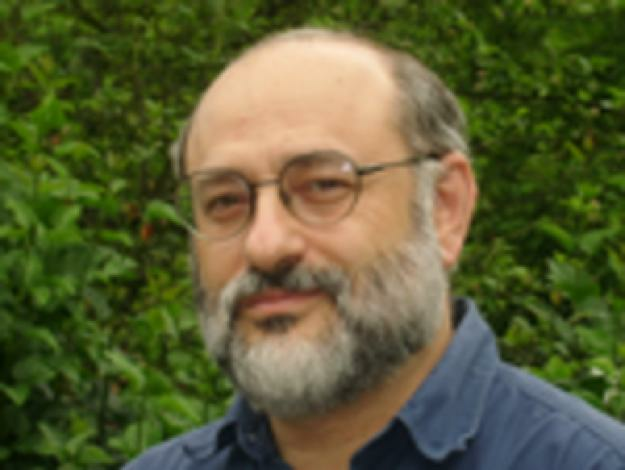 Stephenson Distinguished Visitor (Visit in 2018): Dr. Juan Rodríguez Carvajal (ILL, Grenoble, France). 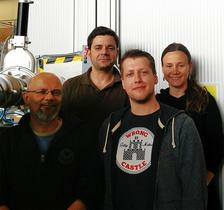 Host from the P09 beamline team at PETRA III was Dr. Sonia Francoual. 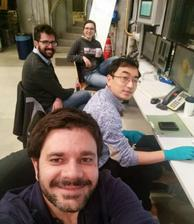 Stephenson Distinguished Visitor (Visit in 2017): Dr. Andrea Perucchi (Elettra Sincrotrone Trieste, Italy; left), together with the Hosts from the THz team: Ekaterina Zapolnova (in the back) and Dr. Nikola Stojanovic (in the front) and Dr. Pan Rui (right) (all from FS-FLASH/-B group at DESY) . Stephenson Distinguished Visitor (Visit in 2016): Dr. Jovana Petrovic (right) (Institute of Nuclear Sciences, Belgrade, Serbia), Mark Temme (left), Thorsten Golz (third from left), and Host: Dr. Nikola Stojanovic (second from left) (FS-FL group at DESY). 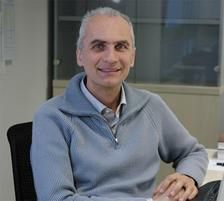 Stephenson Distinguished Visitor (Visit in 2016): Dr. Luca Poletto (National Council for Research Institute of Photonics and Nanotechnologies, Padova, Italy). Hosts: Dr. Elke Plönjes, Dr. Günter Brenner and Dr. Marion Kuhlmann (FS-FL group at DESY). Stephenson Distinguished Visitor (Visit in 2016): Dr. Piotr Maslowski (Institute of Physics, Nicolaus Copernicus University,Torun, Poland) (in the middle), Vinicius Silva de Oliveira (left) with Hosts: Dr. Ingmar Hartl (right) and Dr. Axel Ruehl (not on the picture) (FS-LA group at DESY). 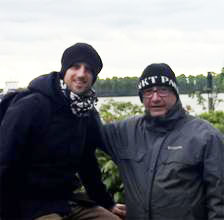 Stephenson Distinguished Visitor (Visit in 2016): Dr. Gaetano Campi (CNR - Institute of Crystallography, Monterotondo Roma, Italy)(right) with Host: Dr. Alessandro Ricci (FS-PE group at DESY). 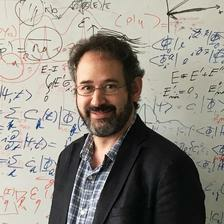 The Stephenson Distinguished Visitor Programme, supported by the James D. Stephenson Fund, provides support to allow renowned scientists to visit DESY, to work and to collaborate with DESY scientists in the field of photon science research. The objective of the programme is to strengthen this research, especially the work of young academics at the light sources PETRA III and FLASH through innovative, advanced projects. Initiating and expanding new connections with scientists at home and abroad is a long term aim. The selection committee consists of leading and senior scientists from external institutions as well as from DESY. The stay at DESY in Hamburg (Germany) is expected to last up to 4 weeks. The financing of the stay will be similar to that of the Humboldt Foundation and the visitors will receive the payments directly. The inviting DESY scientists will organize the stay and provide an efficient cooperation with the guest scientist and the involvement of other DESY groups and on-site. DESY can help to find an accommodation in Hamburg. 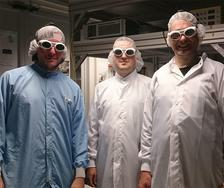 All research results achieved during the stay at DESY should be published. Appropriate reference should be made to the funding provided by the James D. Stephenson Fund, e.g. in the acknowledgement "One of the authors (N.N.) was supported by the 'Stephenson Distinguished Visitor Programme' at DESY in Hamburg (Germany)."